So, what is known for Red Dead Redemption 2 outside of it is coming next year? Well, first off it looks like we will have an official trailer for the game on Thursday (10/20) so there is that. Also it looks like there is going to be an online mode that many are assuming will be like the one for GTAV as that was rather successful and could still work out in a game like Red Dead Redemption. That has already been registered, hence what I spoke of before, so we'll most likely see a web portal for this mode in short order just as we had with the previous titles that they have released with it. Now that we have the 'knowns' out there for Red Dead Redemption 2, let's dig into some of the speculation. The main thing for me is that it looks like we may have somewhere around seven playable characters in the game that we could hop between. GTAV had the three and that worked out insanely well and given the posse shown in the logo here it would make sense that they are all teamed up for the misadventures in the Old West. Why wouldn't we be able to swap between each or at least some of them in the game? It was one of my favorite things from Rockstar Games' past and I would love to see it here again. 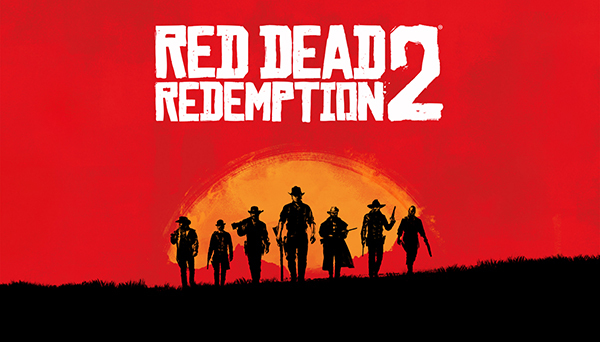 It would also add a true "new" online mode to Red Dead Redemption 2 that we haven't seen before if we could play through the main game swapping between characters on our friend's games as well. Of course that would be more of a co-op thing than multiplayer but what if the other players never knew. Like if they think it's an AI bot the whole time until they try to turn on you and that's when you figure out that someone was up to something nefarious the whole time. It would fit in the setting of the game and would add something new for a multiplayer mode in Red Dead Redemption 2 at that. But of course, that's all speculation. Have you calmed down for the excitement of Red Dead Redemption 2 getting the announcement yet? Do you think that the multiplayer mode will be more like GTA Online or something 100% new to it all? Would you want to see other players to have the ability to jump in and help or harm you without you know they are AI or not from the start? Let us know your thoughts and discuss in the comments below. For more on Red Dead Redemption 2 as it comes you'll want to be sure to be right here as we'll have it all as it progresses.